Back in Time for Dinner·DID YOU KNOW? "Why does modern day not look like this?" That's what Campus son Robert asks after walking into their Space Age '60s home in the third episode of Back in Time for Dinner. And it's a good question. Where is the Jetsons-esque future we were promised? Well, if you look carefully, it's actually all around you. 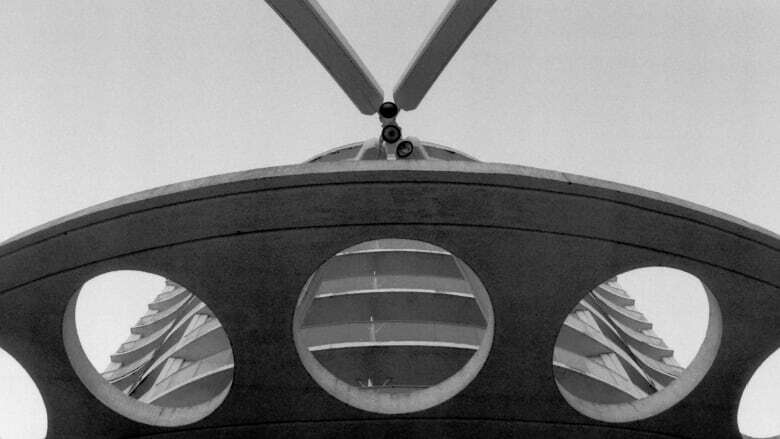 In the 1960s, designers and architects were eager to build the Space Age future they imagined. At the same time, Canada's big cities were growing rapidly. As a result, cities across Canada are filled with cool '60s Space Age design. Here are a few prime examples. 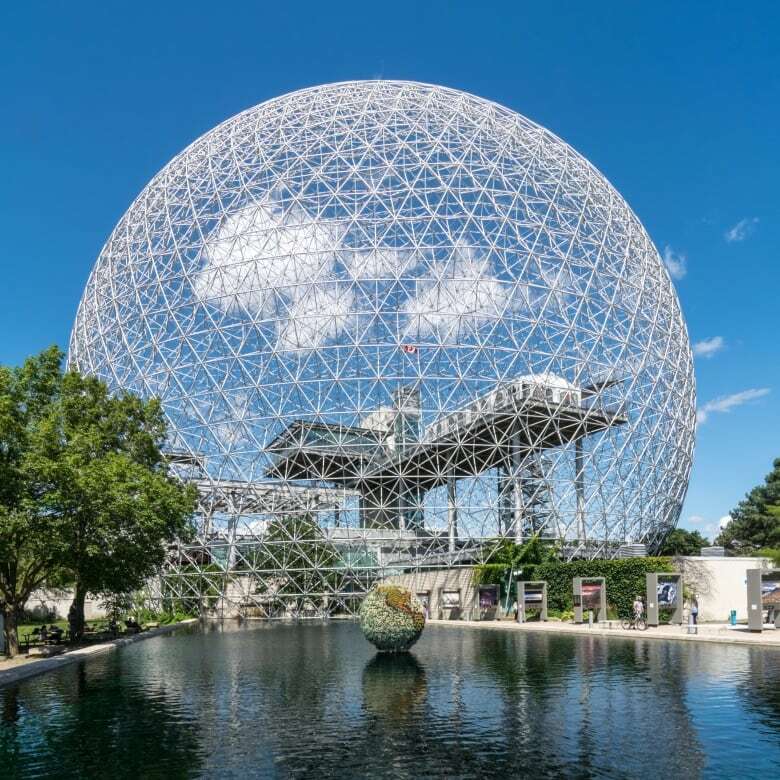 Fuller was tapped to build the United States' pavilion at Expo 67, for which he created an enormous dome, covered with a complex shading system to control the inner temperature. The pavilion was a hit, attracting 5.3 million visitors in the first six months. But in 1976, the shading system caught fire, burning away and leaving only the dome's skeleton. The structure sat abandoned for 14 years until it was bought by the government and turned into an environmental museum. 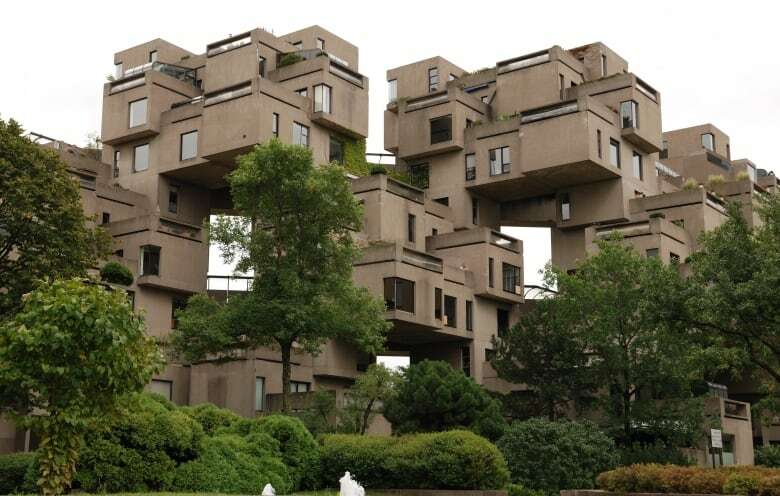 Israeli-Canadian architect Moshe Safdie originally envisioned Habitat 67 as his thesis project at McGill's architecture school. It was meant to be a way to re-envision urban living, combining the best parts of the suburbs — outdoor space, light, newness — with the density of the city. It would be a pilot project that would revolutionize how we lived, creating new, close-knit, mixed income communities. It looked, and continues to look, like the set of a sci-fi film. Unfortunately, it was plagued from the get-go by cost overruns, and the buildings soon developed a reputation for maintenance issues. Ironically, many of the units were renovated and combined in the 1980s and '90s, turning them into larger, more luxurious suites. Habitat 67 is now home to some of Quebec's most influential people. It still looks like moon colony, though. 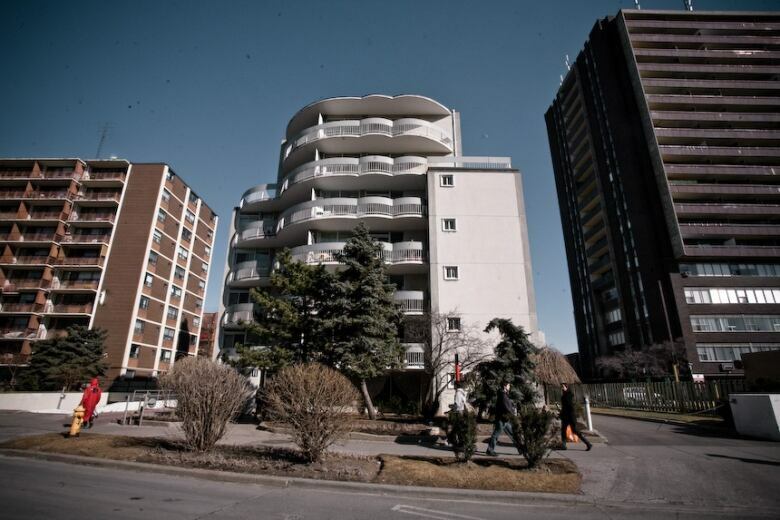 In 1960s Toronto, Estonian-Canadian architect Uno Prii was determined to let people live in the future, right now. He wanted to make buildings that were both attractive and functional. "I could see apartment buildings as giant sculptures," he said in a 1999 interview. "I thought people would remember these buildings...I got tired, eventually, of these straight boxes. I thought, let's have a little fun." His designs were known for projecting shear walls that gave the whole building the vague feeling of a rocket ship launching into the sky. He also liked adorned, curvilinear balconies. His designs were widely criticized at the time, but have become popular in recent decades with a new generation of architecture buffs. 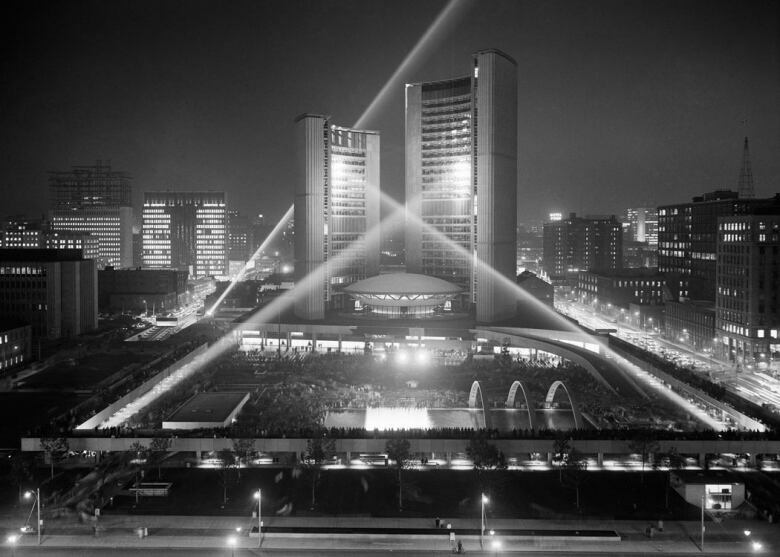 Toronto's City Hall — sometimes still referred to as New City Hall, despite being more than 50 years old — is more literal than most in its Space Age design. It looks like a UFO. It was designed by Finnish architect Viljo Revell, who was one of more than 500 architects from around the world who submitted designs. At the time, it was criticized for being both too futuristic and already looking dated. But five decades later, Torontonians have come to appreciate some of its unique features. The layout forces city councillors and staff to mix with citizens, making it hard for politicians to duck their constituents or the media, and the attached public square, Nathan Phillips Square, has been home to art festivals, concerts, protests, religious celebrations, and most notably, ice skating. Precious Blood was opened in 1969, and designed by Franco-Manitoban architect Étienne Gaboury, who also designed the Canadian Mint in Winnipeg and the Canadian Embassy in Mexico. Precious Blood is a building that manages to encompass Space Age modernism while also staying rooted in the past. Its exterior walls are full of the smooth, rounded shapes of the era, while the roof has a tipi-inspired design as a tribute to the church's largely Métis congregation. 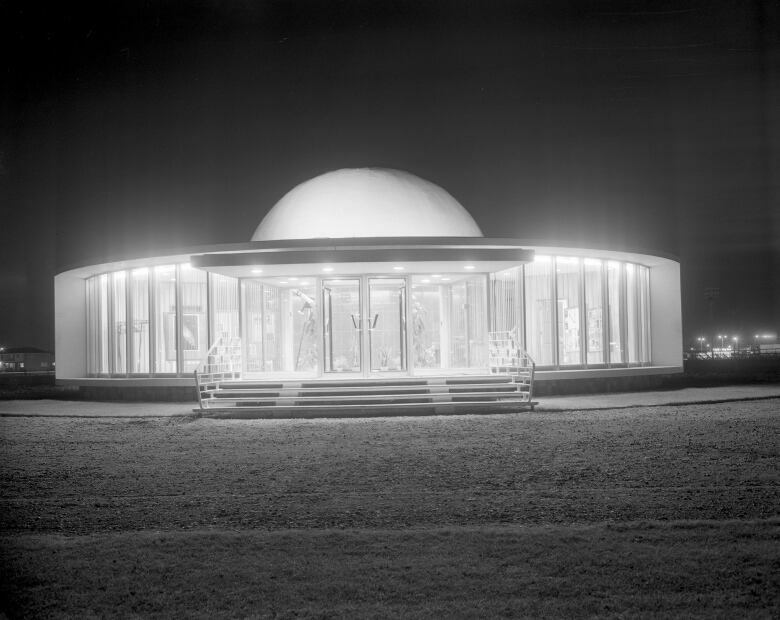 Edmonton's planetarium was commissioned in 1958 as a civic memorial to the Queen's visit to the city. It opened in the fall of 1960. Like Toronto City Hall, it is one of Canada's more obviously space-themed buildings — it looks like a UFO hovering just above the ground. The planetarium ceased operation in 1983, was abandoned, and fell into disrepair, but Edmonton City Council voted to restore the building in 2017, and is hoping to have it operational again by next summer. 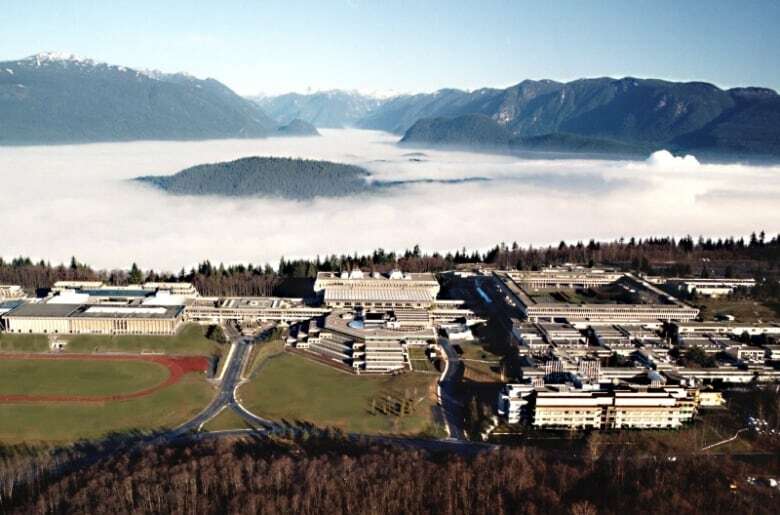 Simon Fraser University has been home to an almost incredible number of sci-fi shoots, including The X-Files, Battlestar Galactica, Underworld, I, Robot and the 2008 remake of The Day the Earth Stood Still . The brutalist campus is imposing and futuristic, but set against and the natural beauty of B.C. When we imagine the future, it still looks a lot like SFU's campus.